I wrote this research paper for an Advanced Acoustics class at New York University in the Spring of 2001 while obtaining my masters degree in Music Technology. It included listening tests with nine subjects who collectively had a wide variety of musical training. Some were beginners and some were long-time professional musicians. Some modes and chords are mapped out here, which you may find useful. The videos above feature these three types of Bohlen-Pierce keyboards! These keyboards are all discussed here. 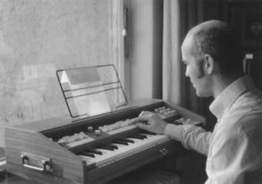 This is Heinz Bohlen's original homemade electronic organ from 1972, in Gamma Mode. To the right, Heinz is tinkering with the transcription of a Christmas carol into his "13-Step Scale" (1973). In 2000 when I was doing research in BP at NYU, the past research I had found all referred to Lambda as the main mode of choice, and not Gamma, the mode Heinz Bohlen's keyboard was using (or Dur II, which has the same black/white key pattern. At the time I did not know which mode Heinz's keyboard was referring to). So at that time (2000) I drew out a Lambda keyboard and I liked the simplicity of it. Ten years later I finally built a Lambda mode keyboard, and found it was a nightmare to play. 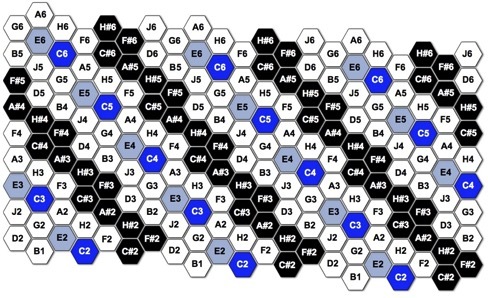 Using black keys as white keys where there are 3 in a row made it even worse, because it was harder to see the 4-black-key groupings. As well, I first realized the issue of shaping the white keys. I had ordered extra C's and F's and shaved them narrower. By the way, I built this from Korg Poly-800, which I do NOT recommend for several reasons. I just happened to have one lying around. Below is a diagram of the same keyboard, to make it more clear how it was made. G# was painted white to become a Bohlen-Pierce E. The grey shaded keys – H, J, A, B – were shaved thinner in a symmetrical manner so that the black keys – H#, A# – are centered. The pattern – C, C#, D, E, F, F#, G – is the same keys and same widths as a normal 12 tone pattern of F, F#, G, G#, A, A#, B. A Bohlen-Pierce Scale keyboard in Dur II Mode (or Gamma Mode, which looks the same) can be made with a similar method, but requires two white-painted black keys per tritave – E and A – instead of just E. I think that Dur II is easier to see and play since the pattern is more varied. The extra white-painted black keys results in a narrow tritave which is easy to reach. The keyboards above can be made by modifying most store bought keyboards and ordering extra keys, but the downside is that they have unequal widths of white keys. In my opinion, this is OK for composing, but less than ideal for performance. Another option – a Bohlen-Pierce Scale keyboard with equal spacing on top and equal spacing on bottom – does not work out very well either. In the picture below, the Cs are centered, but observe that other keys are not centered. No matter how they are aligned, some keys – like B and D – are inevitably shifted over one way or the other and not aligned with the top portion of the key. This would be less than ideal for performance as well. But if we insist on having equal widths on the top portion of the keys and on the bottom portion, some keys will not be centered, and in fact will be zig zagged. One way to get around the hassle of sanding white keys narrower is to simply saw off the wide part of the keys. The black and white keys can then be freely interchanged. This isn't ideal either since pianists may miss the wide part of the white keys for doing glissandos, and generally are used to having the black keys shorter than the white keys. I do find it pleasant to perform on, however, in the form of a Vertical Keyboard, a patent pending invention that is currently for sale (see VerticalKeyboards.com). Another style of keyboard that is great for the Bohlen-Pierce Scale is the sonome ("sonome" is the generic name for this type of hexagon keyboard, like "piano"). Many useful chords in the Bohlen-Pierce Scale that are wide and hard to reach on a traditional style piano keyboard, are closer together and easy to reach on a sonome. Lambda Mode (pictured above) is the mode of choice for most Bohlen-Pierce Scale fans. However, it's interesting that Dur II mode (created by simply moving the last accidental down one half step) is easier to see and play on both a traditional style piano keyboard and a sonome. 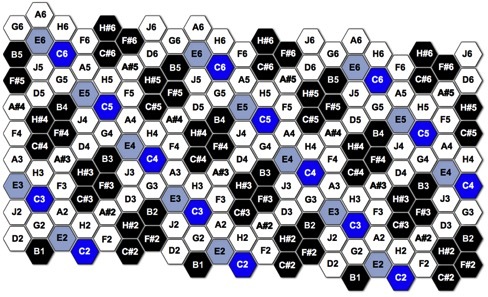 Watch videos about rearranging the hexagon keys of a sonome for the Bohlen-Pierce Scale here. Some modes and chords are mapped out on this site, which you may find useful. The story of the Bohlen-Pierce Scale and it's inventors is a bittersweet one. Sadly, the two microwave engineers who invented the Scale independently six years apart, never met even though they both lived in the San Francisco area for a number of years. 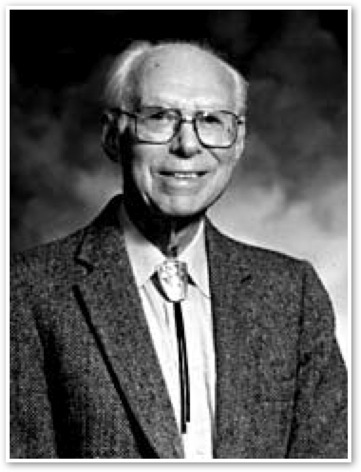 When John Pierce passed away in 2002, Heinz's dream of meeting him and discussing their co-invented scale in person, died with him. 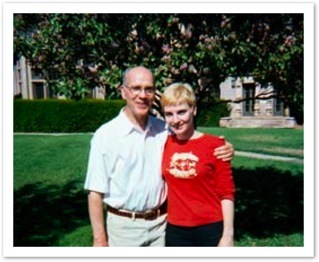 Heinz was also a fan of John Pierce because of his fame in the microwave engineering world. 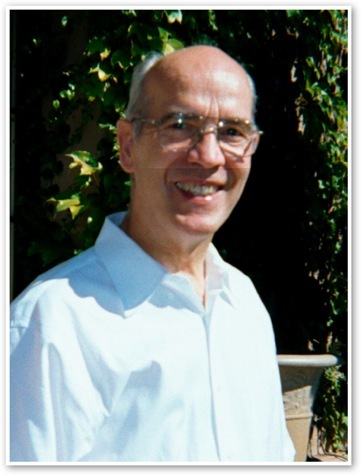 John Pierce is credited for inventing the idea of the communication satellite. In turn, John Pierce may have been envious that Heinz Bohlen invented the BP Scale six years before he did. It all started in the early 1970s when Heinz Bohlen became curious as to why musicians always use the same 12 note per octave tuning. After getting some unsatisfactory answers from musicians, he took it upon himself to research music and tonality. It was finally the understanding of combination tones that lead him to believe he could use the same method that lead to the 12 tone equal temperament, to devise another tuning from a different framework. He understood that the 12 tone scale was based around the a major triad, the inversion, and then filling in the gaps. So, he started with a new triad that was very harmonically pure, but not contained within the normal 12 tone framework. He made the stunning discovery that a scale of thirteen almost equal steps within the framework of an octave and a fifth (which John Pierce later dubbed as a tritave) contained this very pure triad. He recognized that this tuning shared a duality with the traditional Western 12 tone tuning, it had harmonic value, and that it would be a valid compositional tool. Amazingly, during the same time frame, another man named Kees van Prooijen had independently invented the BP Scale during his research in generic equal temperaments. But even more amazingly, a second microwave engineer named John R. Pierce made the same discovery, six years later. He arrived at the tuning using a different method, but for the same reason – Curiosity. Leave it to microwave engineers to invent a tuning with no octaves! When John Pierce realized it had already been invented by Heinz Bohlen, the tuning was dubbed the "Bohlen-Pierce Scale. He was apparently unaware of Kees van Proojijen. 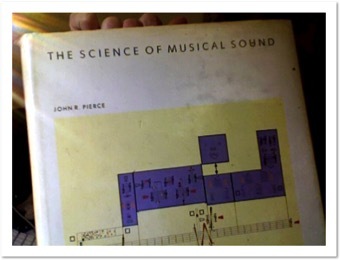 Coincidentally, John Pierce wrote "The Science of Musical Sound", which was my favorite childhood coffee table book. When my professor at Berklee College of Music, Dr. Boulanger, introduced me to the BP Scale in 1991, I knew the name John R. Pierce sounded familiar. That XMas I found the book in my parents living room and remembered how I loved the book when I was younger. The Science of Musical Sound was my favorite childhood "coffee table" book. It's a coincidence. No joke!